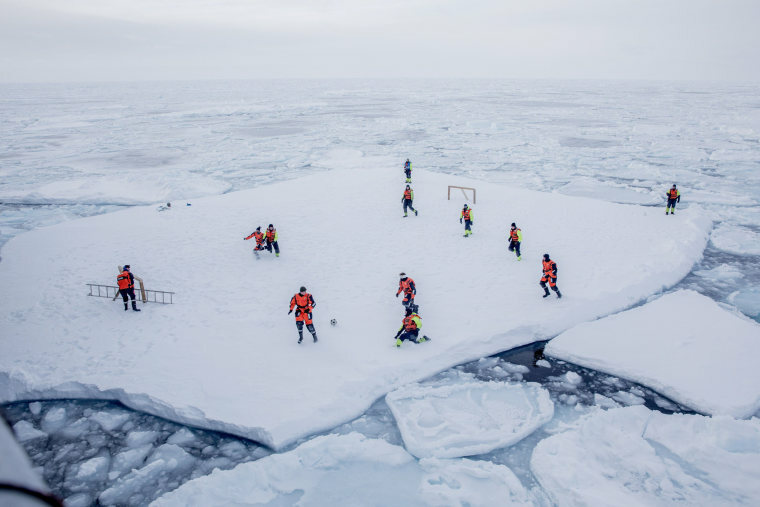 Students march for gun reform, arctic soccer is played on ice, holy week celebrations begin, and more. 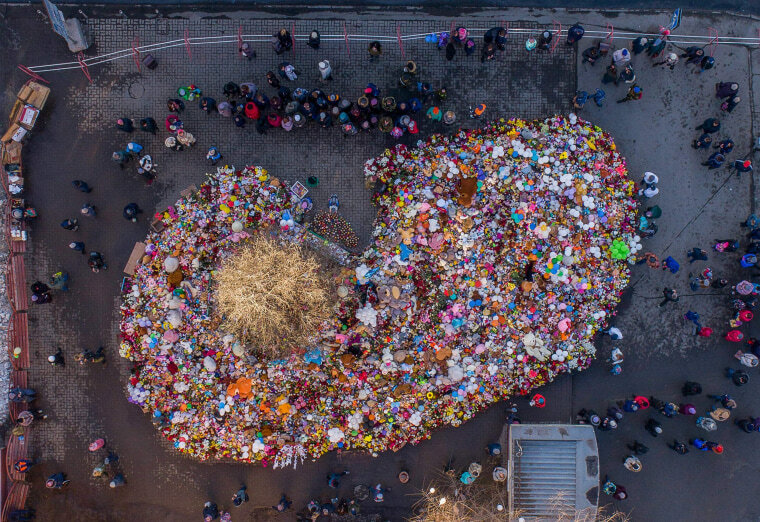 Mourners visit a makeshift memorial for victims of a fire at the Winter Cherry mall in the industrial city of Kemerovo, Russia, on March 29, 2018. The city of half a million people, 3,000 kilometers east of Moscow, is trying to come to terms with the fire last Sunday that engulfed the mall, killing 64 people, including children locked inside a movie theater. The deadly fire caused an outpouring of grief and indignation against local authorities. The Kemerovo governor never visited the site of the fire, while President Vladimir Putin did not announce a period of national mourning until days after the fire. Students march the last leg of a 50-mile journey on March 28 into the hometown of House Speaker Paul Ryan to call attention to gun violence. 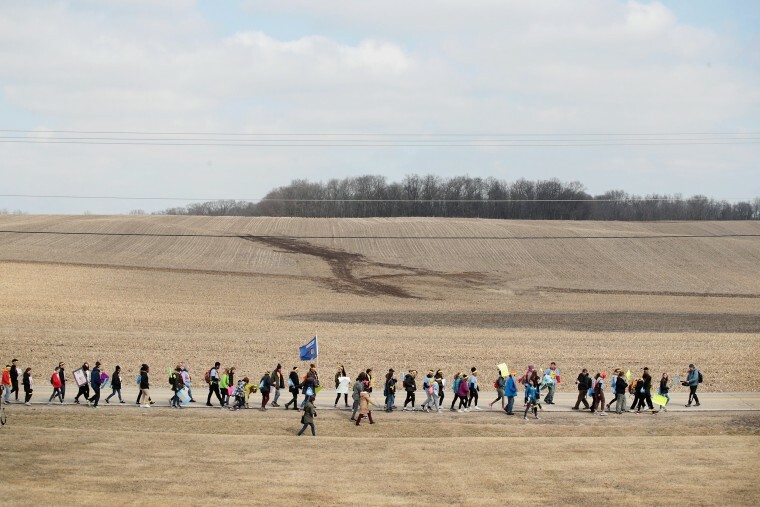 About 50 Wisconsin students set out Sunday from Madison on their “50 Miles More” march. A gaucho rides an untamed horse during Creole week celebrations in Montevideo, Uruguay, on March 26. 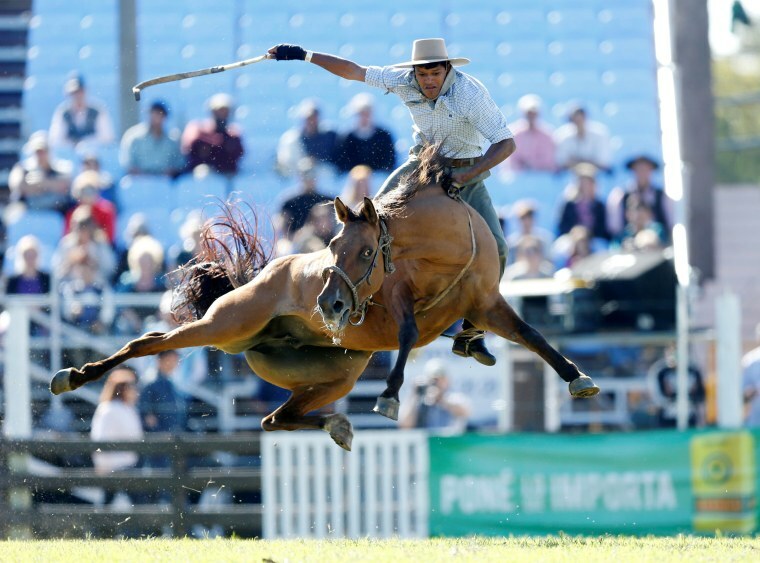 During Easter week, gauchos from all over Uruguay and neighboring Argentina and Brazil come to Montevideo to compete for the award of best rider. 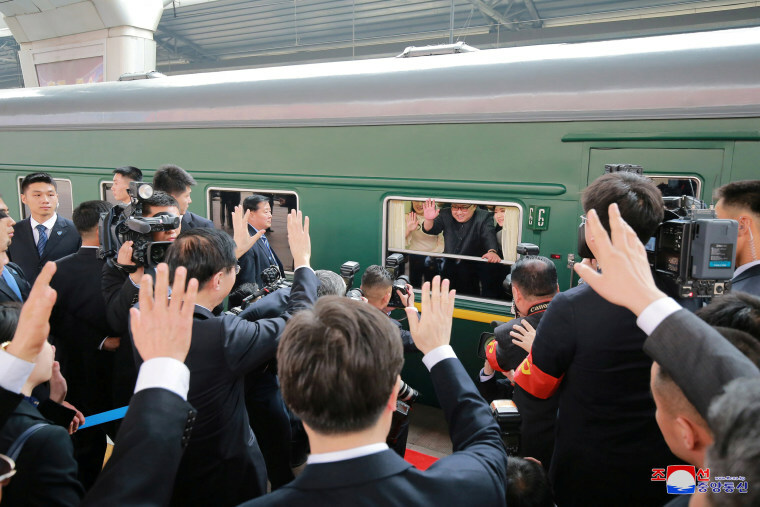 Kim Jong Un waves from his train as it prepares to depart from Beijing on March 27. The North Korean leader was treated to a lavish welcome by Chinese President Xi Jinping during a secretive trip to Beijing as both sides seek to repair frayed ties ahead of landmark summits with Seoul and Washington. 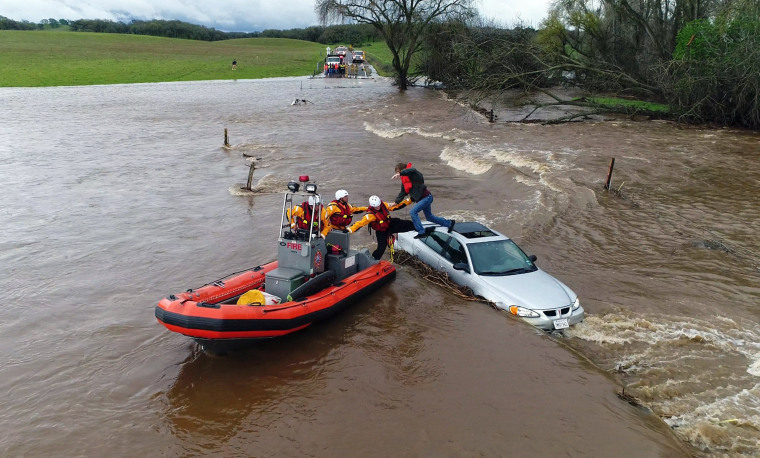 Firefighters rescue a motorist whose car became stuck as a flash flood washed over a road near Folsom, California, on March 22. A powerful storm dropped more rain across the state, swelling rivers, flooding streets and causing some mudslides but so far sparing communities a repeat of the disastrous debris flows that followed a deluge earlier this year. 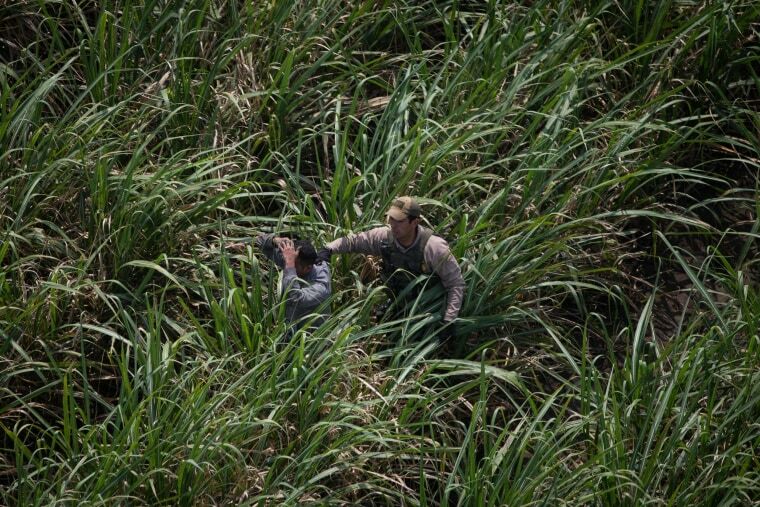 A border patrol agent apprehends an illegal immigrant near the U.S. border with Mexico in the Rio Grande Valley Sector, near McAllen, Texas, on March 27. 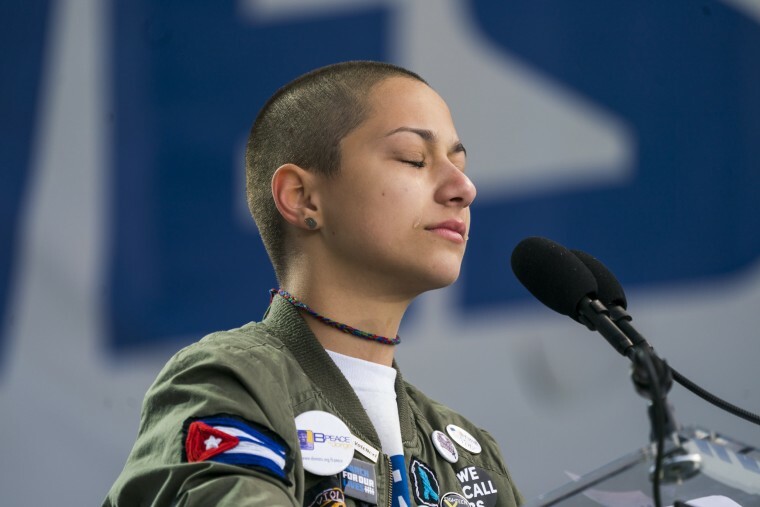 Emma Gonzalez stands in silence at the podium during the “March For Our Lives” in Washington on March 24. 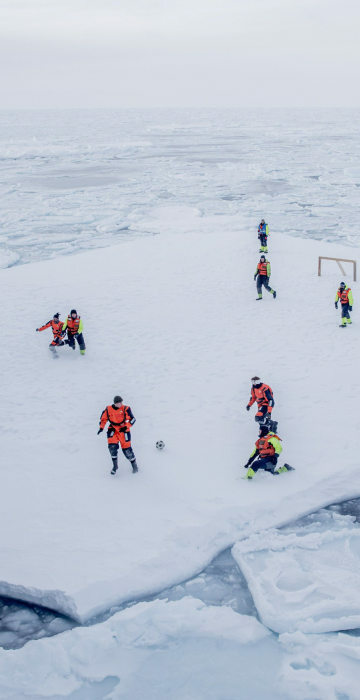 KV Svalbard's crew, formed by Norwegian Navy privates and scientists from Norwegian Institute of Marine Research, play soccer as they are protected from polar bears by armed guards in the arctic environment in the sea around Greenland on March 22. 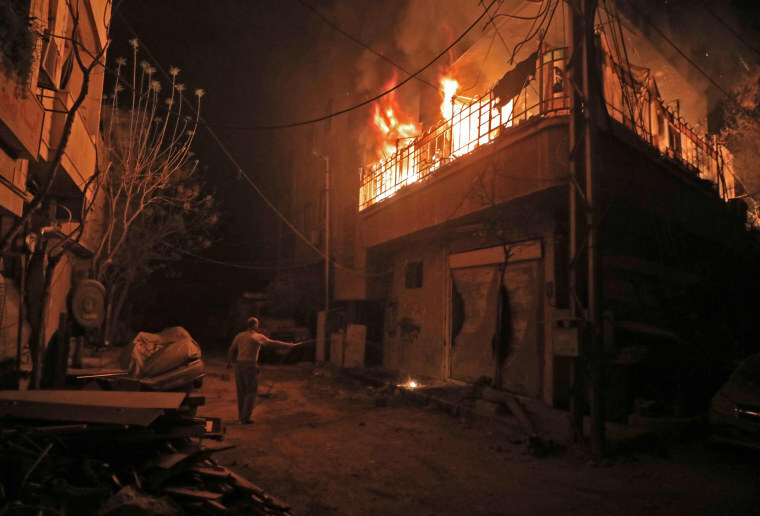 A man tries to put out a fire after flames erupted early on March 23 following a regime bombardment in Douma, one of the few remaining rebel-held pockets in eastern Ghouta on the outskirts of Syria’s capital. Syrian state media said more residents have left Douma, one of the three pockets isolated by the offensive and where the bombing continues, through a crossing linking it to the capital Damascus. The largest town in eastern Ghouta, Douma is controlled by the Army of Islam, the largest and most powerful rebel group in the region. 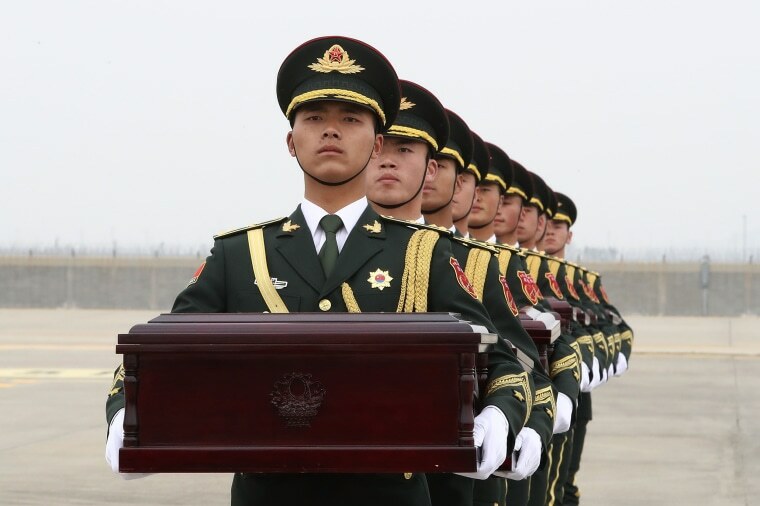 Chinese soldiers carry caskets containing the remains of 20 fallen soldiers during the 1950-53 Korean War, performing the handing over ceremony at the Incheon International Airport on March 28 in Incheon, South Korea. 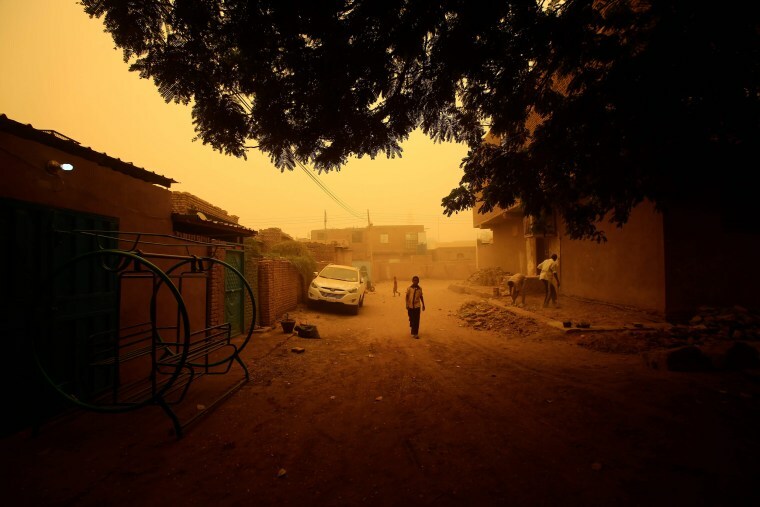 A thick sandstorm engulfed the Sudanese capital of Khartoum on March 24, forcing authorities to cancel flights and shut schools in the city and other nearby towns. 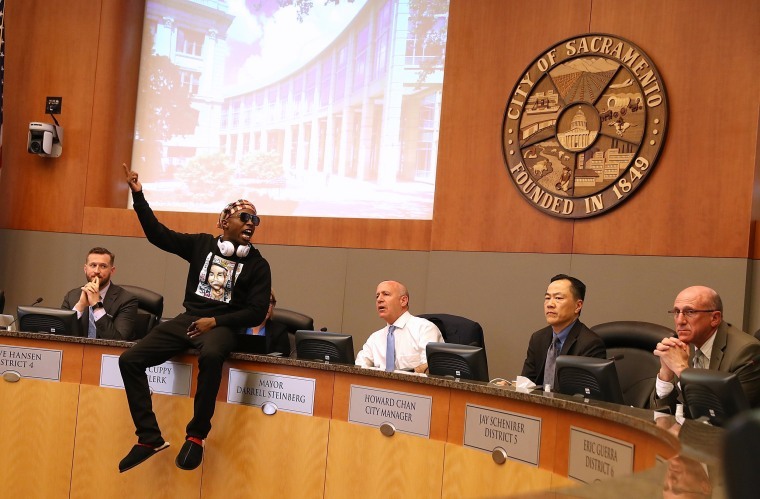 Stevante Clark, brother of Stephon Clark, the unarmed African-American man killed in a hail of police bullets in Sacramento, California, shuts down a City Council meeting March 27 by delivering a profanity-filled complaint about the city's treatment of minority residents. The meeting was called to address the shooting of Stephon Clark on March 18. Police said two officers fired 20 rounds at Clark, who was found to be in possession of a cellphone, not a weapon. 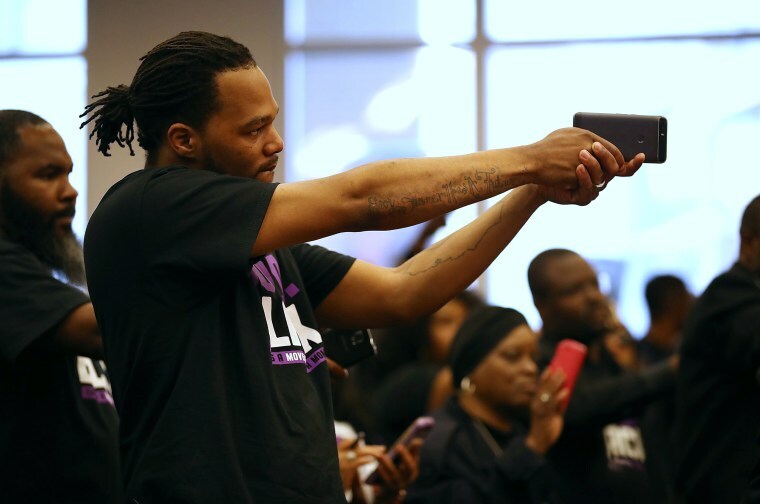 An attendee holds a cell phone like a gun during a special city council meeting at Sacramento City Hall on March 27 in Sacramento, California. 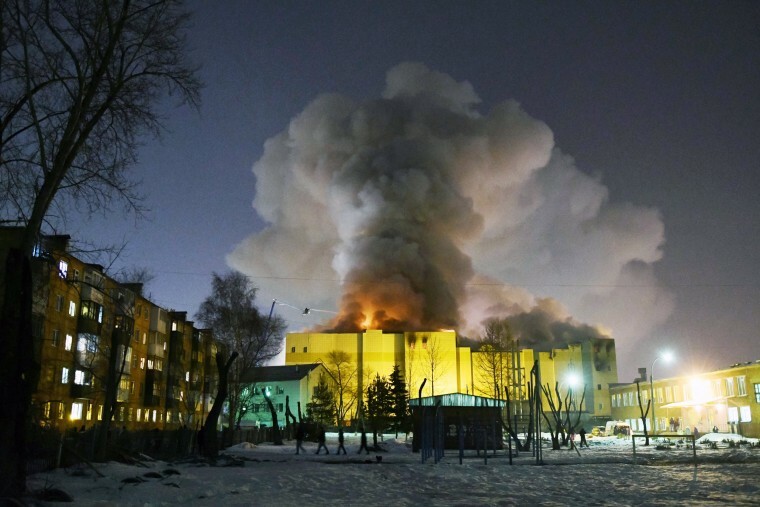 Smoke billows from the Winter Cherry mall in Kemerovo, Russia, on March 26. With the fire alarms silent and staff reportedly nowhere to be seen, a fire at a shopping mall packed with children and their parents on the first weekend of the school recess killed 64 people in Russia's Siberia. The fire was extinguished by Monday morning after burning through the night. Firefighters were still recovering bodies as parts of the buildings were still smoldering. Some of the dead were found inside a theater, which one witness said had been locked shut. 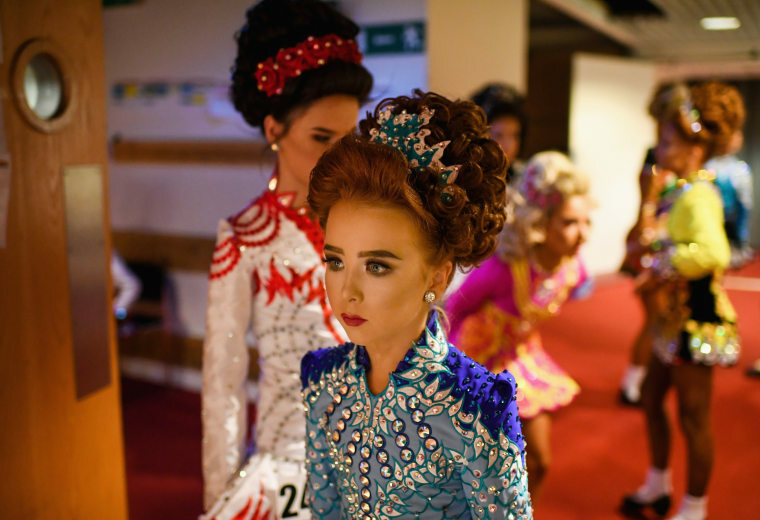 Dancers wait backstage at the World Irish Dancing Championships in Glasgow, Scotland, on March 25. More than 14,500 dancers and supporters were expected this week at the championships which have run for more than forty years. Officials of the French gendarmerie nationale and French Interior Minister Gerard Collomb hold a minute of silence for Lieutenant-Colonel Arnaud Beltrame, on March 28, at the Interior Ministry in Paris. The slain hero of last week's extremist attack in southern France, who swapped himself for a hostage, was honored Wednesday in an elaborate, daylong national homage led by French President Emmanuel Macron. 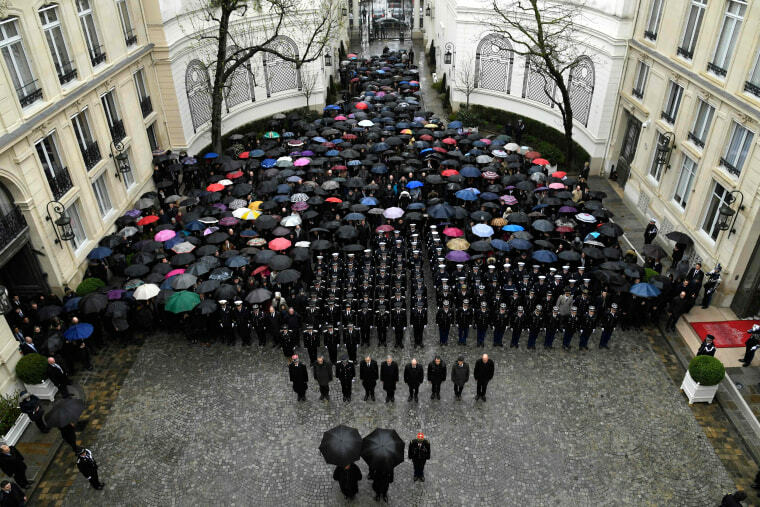 The coffin of Lt. Col. Arnaud Beltrame was driven through the morning drizzle in a procession across Paris from the Pantheon to the Hotel des Invalides, the final resting place of Napoleon. Macron delivered a patriotic public eulogy calling for national solidarity after last week's attack, which together with myriad other extremist attacks on French soil have claimed more than 200 lives since 2015. 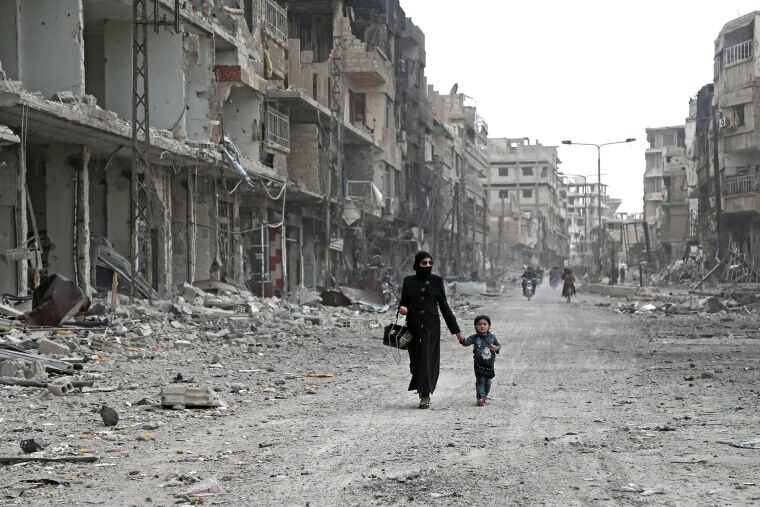 A Syrian woman and child walk down a destroyed street as civilians and rebels prepare to evacuate one of the few remaining rebel-held pockets in Arbin, in Eastern Ghouta, on the outskirts of the Syrian capital Damascus, on March 24, as the government moved ever closer to securing the outskirts of the capital. Lightning strikes above the Table Mountain National Park, the World Heritage Site in Cape Town, South Africa, March 28. 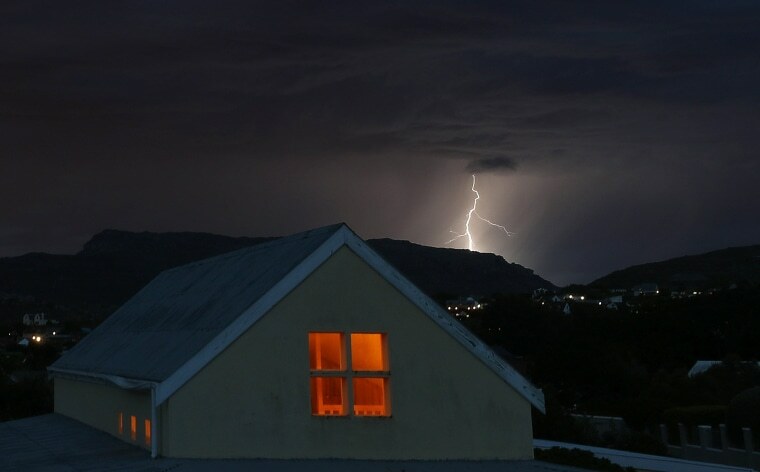 A rare electrical storm occurred with rain predicted in the following days in the drought ravaged Cape Province. 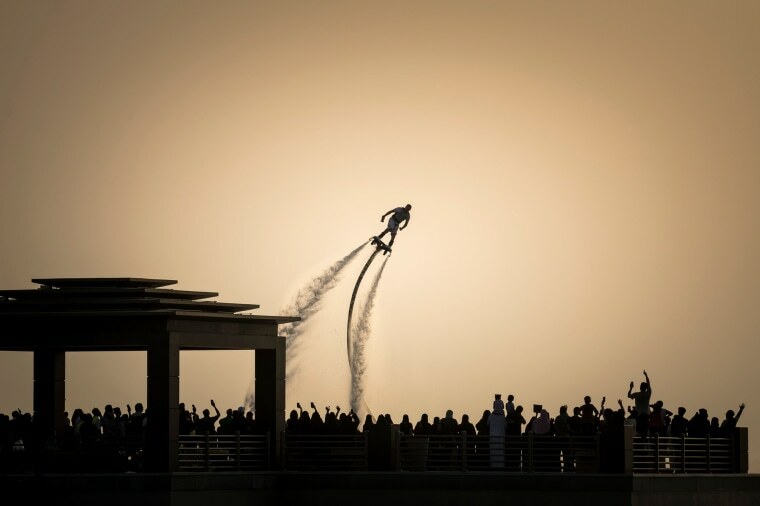 Spectators watch a man performing on a water-propelled flyboard during the BMX freestyle parc pro final on March 24 in Jeddah, Saudi Arabia during a two-day event for the launch of the 2018 FISE World Series tour. Faithful participate in the centenary Fogareu procession during the early morning hours in Goias, Brazil on March 29. 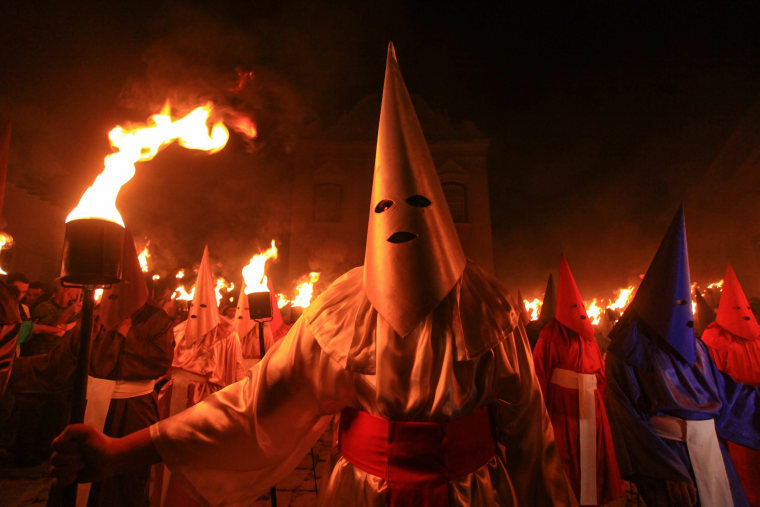 With almost three centuries of tradition, the procession of the Fogareu marked the beginning of Holy Thursday in Brazil. 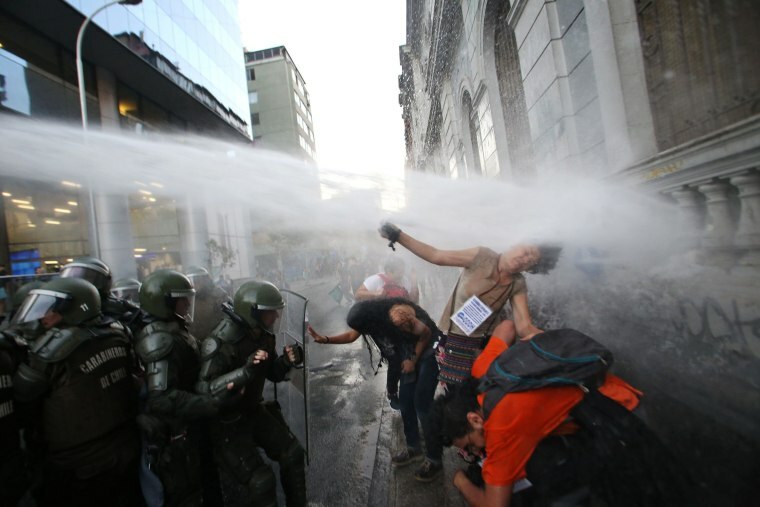 Students clash with riot police outside the Education Ministry building during a protest in Santiago, Chile on March 27, after Chile's constitutional court struck down a law that would have banned universities operating for profit, dealing a blow to free tuition reforms brought in by former left wing president Michelle Bachelet. Cosmos flowers bask in the sun rise over Delta Park in Johannesburg on March 28. 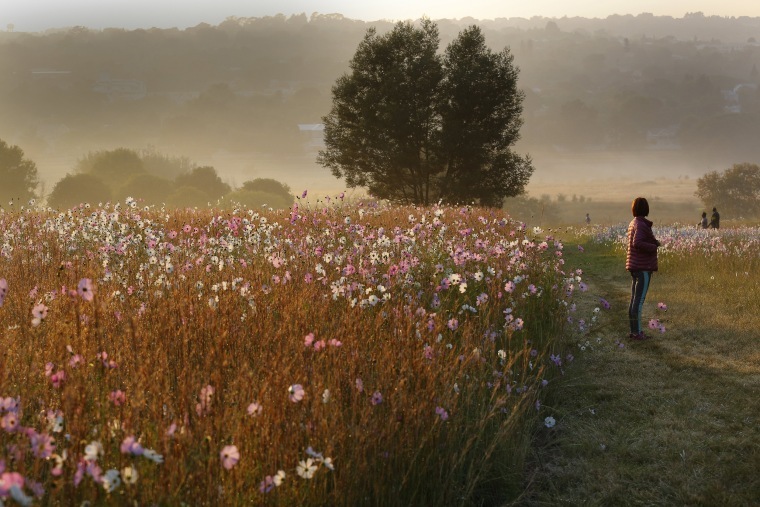 The flowers are early signs of the shift from summer to autumn as they blanket large areas of the city and open farm areas around Johannesburg. 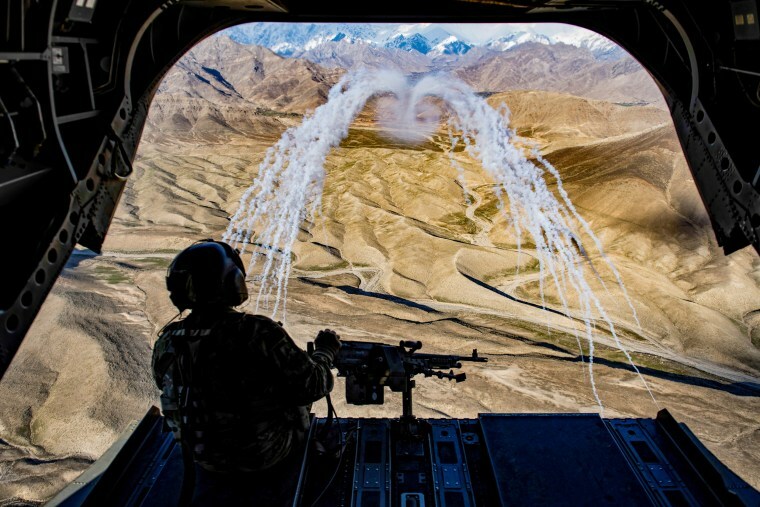 A U.S. Army crew chief flying on board a CH-47F Chinook helicopter observes the successful test of flares during a training flight in Afghanistan, on March 14. This photo was released by Reuters this week. 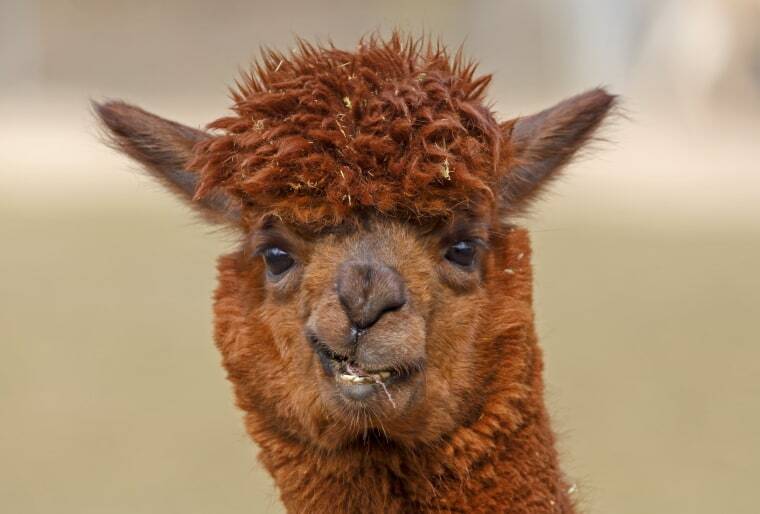 An alpaca chews some food at the Wilhelma zoo in Stuttgart, Germany on March 26.